Today I’m in the kitchen, whipping up some Pesto from my basil plant (which is growing out of control!) and working on some recipes that will be on the blog soon. 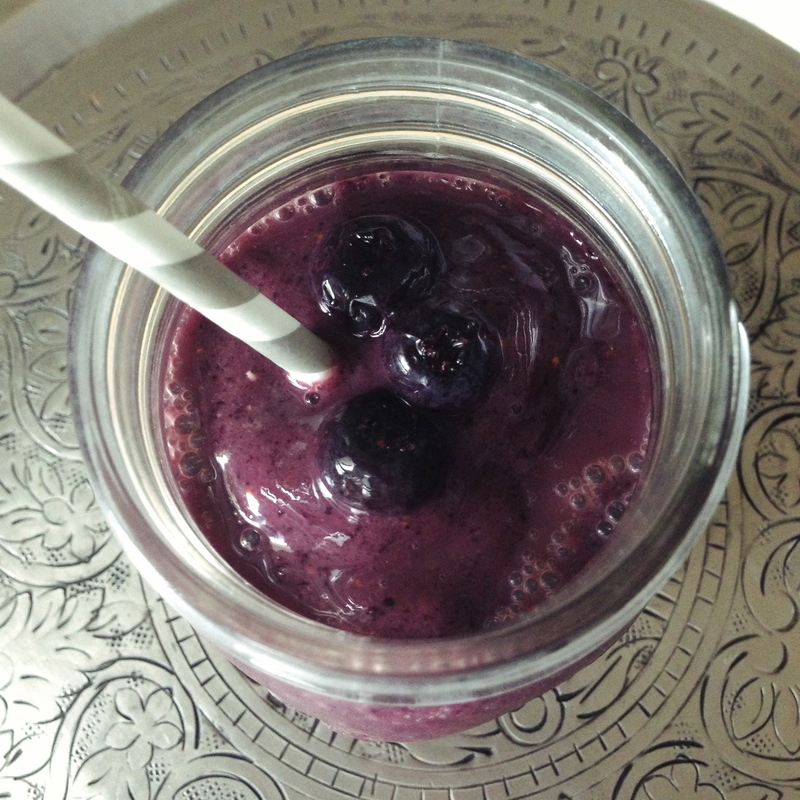 But I’m taking a break to share another easy recipe for smoothies with you! 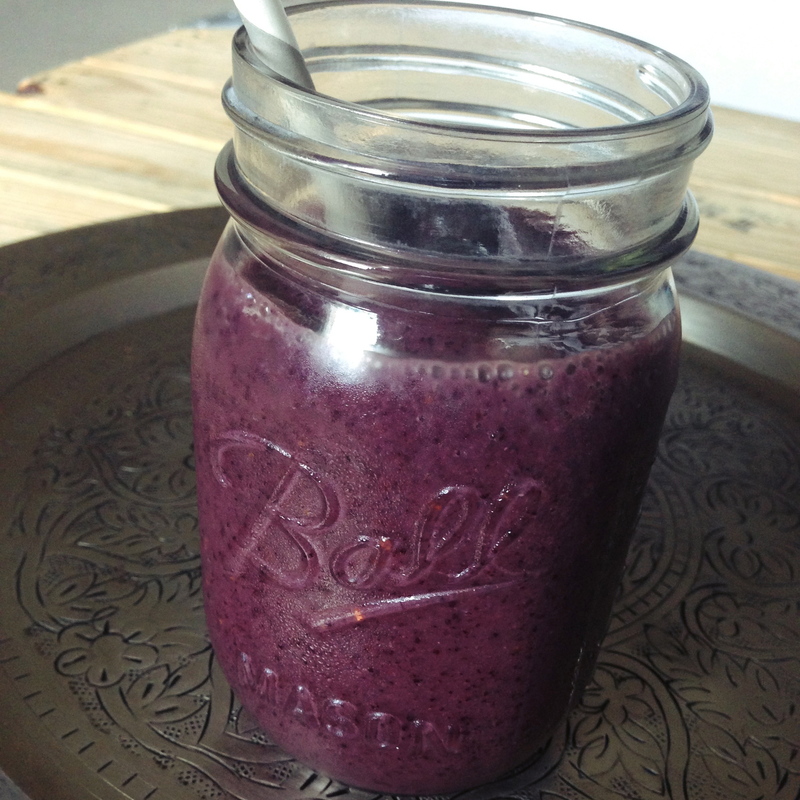 This Blueberry Mango Smoothie totally reminds me of a blueberry muffin! Blueberries, along with the sweetness of mango and the richness of almond milk, make up this satisfying and healthy treat. Blend all ingredients until smooth and enjoy! It’s as simple as that! I’m interested to hear your favorite smoothie flavors… let me know in the comment section below! I had a smoothie from a farmers market food truck once that had berries, almond butter and basil in it. Sounds weird but it was really good! That sounds really tasty! Basil seems like such an odd ingredient, but I love using it to flavor ice water (especially with fruit! ).